"For Rose Gardner, working at the DMV on a Friday afternoon is bad even before she sees a vision of herself dead. She’s had plenty of visions, usually boring ones like someone’s toilet’s overflowed, but she’s never seen one of herself before. When her overbearing momma winds up murdered on her sofa instead, two things are certain: There isn't enough hydrogen peroxide in the state of Arkansas to get that stain out, and Rose is the prime suspect. Somebody thinks Rose has something they want and they’ll do anything to get it. Her house is broken into, someone else she knows is murdered, and suddenly, dying a virgin in the Fenton County jail isn’t her biggest worry after all." When I first started reading, I found Rose and her American drawl really quite annoying. It bothered me; I could really feel the accent coming off the page and didn't really get any other vibe from it. But I stuck with it, and after a while, I must have adjusted because whilst the story line is totally out of this world ridiculous, I somehow found myself totally addicted. I just had to keep reading to find out who the new guy living next door is, whether he is a goodie or a baddie, and who the hell is after Rose Gardner and why? Having overcome my initial reservation, I found the book gripping, tense and funny. 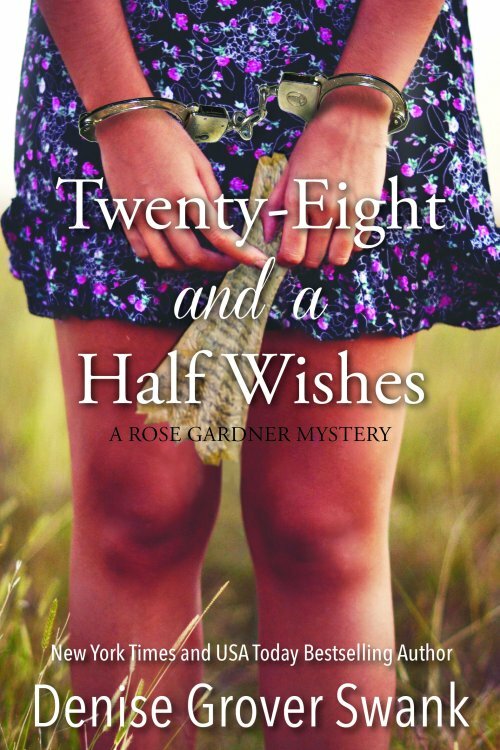 I will definitely have to delve in to Rose Gardner's next mystery book to see what else could possibly happen to Rose.....and I definitely don't mind paying to do so!